SK Telecom has achieved yet another historic first after conducting a live TV broadcast over a commercial 5G network. The largest mobile network in South Korea broadcasted the country’s new year celebrations. In addition to a countdown, interviews were conducted at the historic Bosingak bell pavilion. By Ryan Daws, 03 January 2019, 0 comments. Categories: 5G, Broadcast, Connectivity, Industry, Innovation, Mobile, Networks. A network security expert has claimed Chinese telecoms vendors are reliant on Western technology for building 5G equipment. James Lewis, Senior Network Security Researcher at the Center for Strategic and International Studies, made the claim in a new report about 5G and the risks posed by Chinese vendors. By Ryan Daws, 18 December 2018, 0 comments. Categories: 5G, China, Connectivity, Industry, Infrastructure, Innovation, Mobile, N America, Networks. By Ryan Daws, 15 November 2018, 0 comments. Categories: Innovation, Mobile, Networks, Operators. By Ryan Daws, 08 November 2018, 0 comments. Categories: 5G, Broadband, Connectivity, Consumers, Industry, Infrastructure, Innovation, Mobile, N America, Operators. 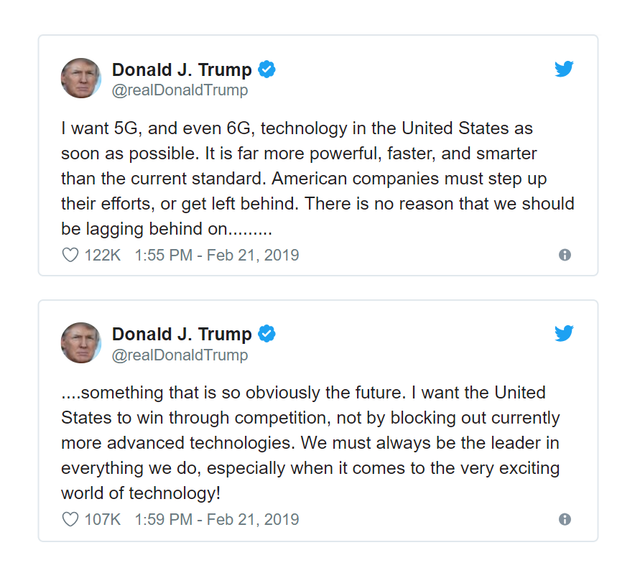 Representatives from the four major operators in the US are set to meet White House officials to discuss 5G and its potential. T-Mobile, AT&T, and Sprint have all confirmed their attendance. Verizon is understood to be attending but declined to comment. None of the operators revealed who they will send to represent their companies, but high-level executives are expected. By Ryan Daws, 28 September 2018, 0 comments. Categories: 5G, Connectivity, Government, Industry, Infrastructure, Innovation, IoT, N America, Networks, Operators. Telstra and Swedish telecoms vendor Ericsson have set a new record for NB-IoT range with nothing more than software upgrades. Ericsson’s breakthrough extends the 3GPP standards-based limit from around 40km out to 100km and can be activated without changes to physical NB-IoT hardware. “This game-changing capability builds on Ericsson’s long history of delivering extended range cellular solutions. By Ryan Daws, 27 September 2018, 0 comments. Categories: Connectivity, Industry, Infrastructure, Innovation, IoT, Networks. By Andy McDonald, 18 September 2018, 0 comments. Categories: Innovation, IoT, Operators. Within the telecom sector, the ongoing shift to software-defined infrastructure - where IT workloads run virtualised or containerised on industry-standard hardware and software platforms - is happening at an unprecedented pace. This transformation is visible across the whole communications industry, where entire data centers are now being converted from vertically integrated systems to software-defined IT infrastructure. By David H. Deans, 11 September 2018, 0 comments. Categories: Innovation, IoT, Operators.